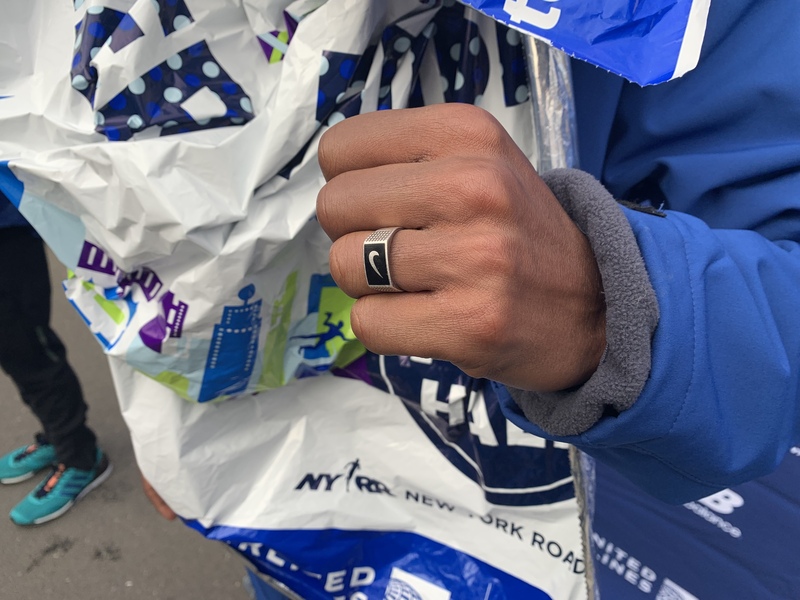 This was the 14th running of the event, which featured a hilly, challenging point-to-point course from Brooklyn’s Prospect Park to Manhattan’s Central Park, finishing in the same spot as the TCS New York City Marathon. More than 25,000 runners competed in the 13.1-mile/21.1-kilometer race. LRC analysis following the women’s recap. 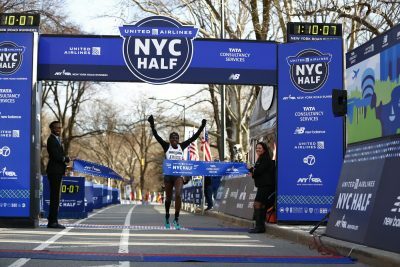 The professional invited women, who had a 12-minute head start on the rest of the field, ran a conservative pace in the early kilometers in Brooklyn, just under 6 minutes for the first mile and a comfortable 17:31 for the opening 5-K. In the fifth mile/8th kilometer, as the runners crossed the Manhattan Bridge between boroughs, Jepkosgei, Kenyan compatriot Mary Ngugi, and defending champion Buze Diriba of Ethiopia began to surge. Kenyan Edna Kiplagat, Americans Emma Bates, Des Linden, and Kellyn Taylor maintained contact until the sixth mile/10 kilometer, when Jepkosgei, who holds the half marathon world record (1:04:51 in Valencia, Spain, in 2017), made a decisive move. 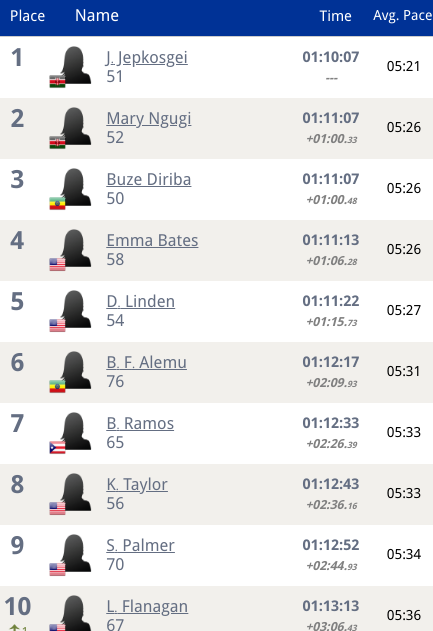 She passed 10-K in 33:51 and continued to drop the pace through 15-K (49:55), with the chase pack (now down to Diriba, Ngugi, Bates, and Linden) nearly 40 seconds behind. LRC note: Race Results Weekly is owned by David Monti, the elite athlete coordinator for the NY Road Runners. 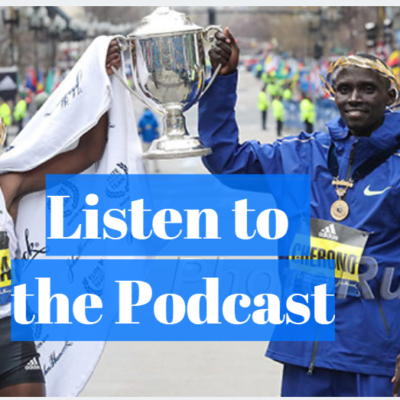 Tilahun may have not been in the elite field, but he is an accomplished professional athlete. He said he won $25,000 at the São Silvestre Road Race on New Year’s Eve. 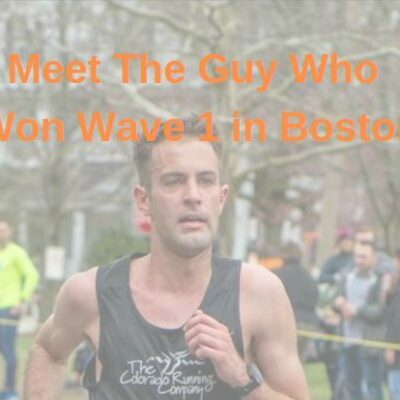 He won the Bix 7-miler last year and $12,500 there. He was 4th at the Ethiopian track trials for 10,000m in 2016. 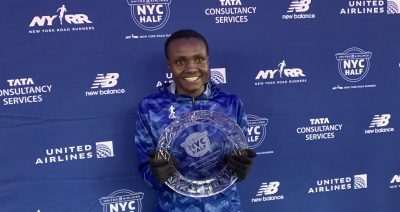 The men’s field this year in NYC was pretty weak, and it looked designed to give Chelimo the shot at the win. In a day and age where sub-60 half marathons are pretty common, there were no runners in the field with a sub-60:00 PR. 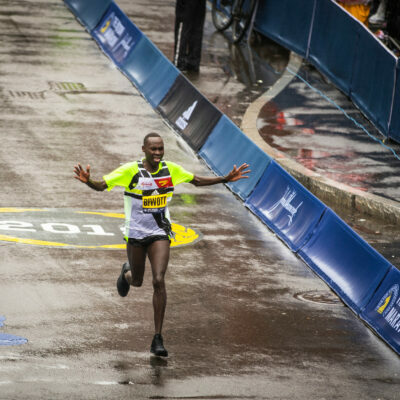 There were only two runners in the field with a sub-61 half marathon. 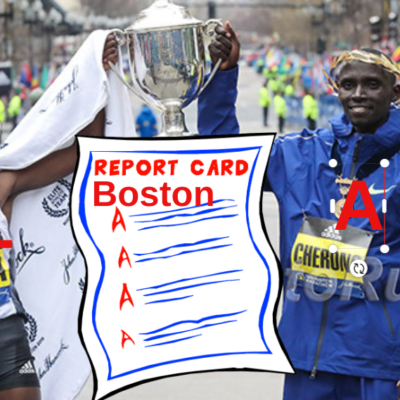 One of them was 42-year-old Abdi Abdirahman (1:03:15 today) and the other Evans Cheruiyot, who only ran 1:09:54. So we like the fact a guy like Tilahun just showed up and won it. Technically Tilahun runs for the West Side Runners (a local NYC club), but we don’t see any NYRR races for him. Runner-up Mary Ngugi (also known as Mary Wacera) was until this year the US all-comers record holder in the half marathon, but Jepkosgei showed why she is the fastest half marathoner ever in the world. Jepkosgei ran away from the field with ease. 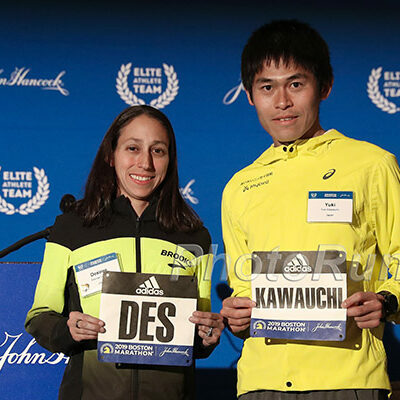 She will make her marathon debut in Hamburg next month. 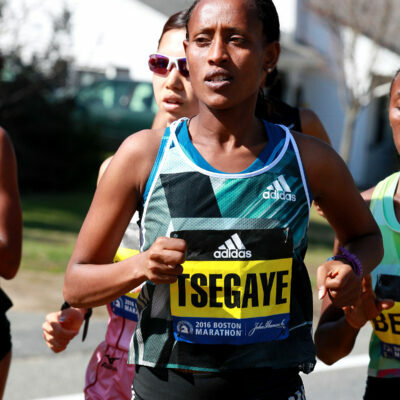 Jepkosgei is the best non-marathon women’s road runner ever as she has the fastest times ever at 5,000 (en route to a 10k), 10k, and the half marathon. She set seven road world records in 2017. She did say she would try to make the Kenyan team for Worlds at 10,000m this year (she has run 29:43 on the roads). Olympic 5,000m silver medallist Paul Chelimo’s half debut didn’t result in the win he wanted, but he was pleased with the effort. Afterwards, he said he wants to do the 5,000/10,000m double at Worlds and had some interesting comments about the 5,000 being dropped from the Diamond League and the new qualifying system for the Olympics. We’ve got all of that in a separate article here. Emma Bates won the US Marathon Champs in December in 2:28:18. 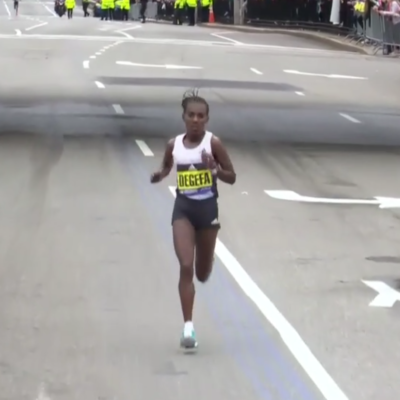 Today, she finished ahead of Des Linden as the top American in 1:11:13. Bates was happy with her run saying, “I’m very pleased. The goal was top American if possible. I’m proud of my effort.” Up next for her is the Cherry Blossom 10 Miler. 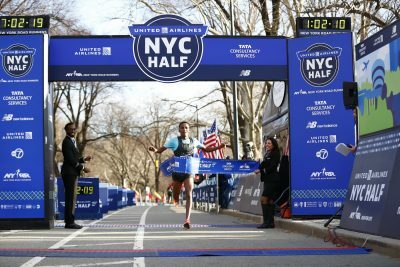 Bates is not planning on doing a spring marathon, and initially was considering doing the IAAF World Championships in the marathon. 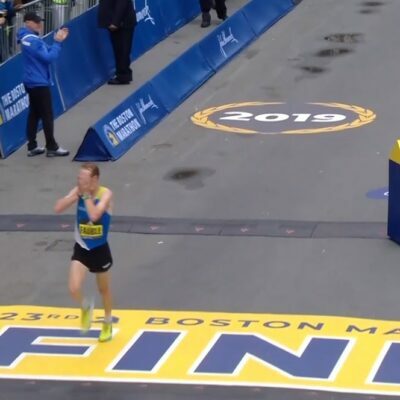 However, with USATF’s announcement Friday that it would put emphasis on time rather than world ranking in selecting the US team for Worlds, Bates may now not do the World Championships and focus on doing a fast World Marathon Major where should could get an automatic Olympic qualifier by finishing in the top 10 or running sub-2:29:30. Linden is getting ready to defend her Boston Marathon crown next month and was fifth in 1:11:22. 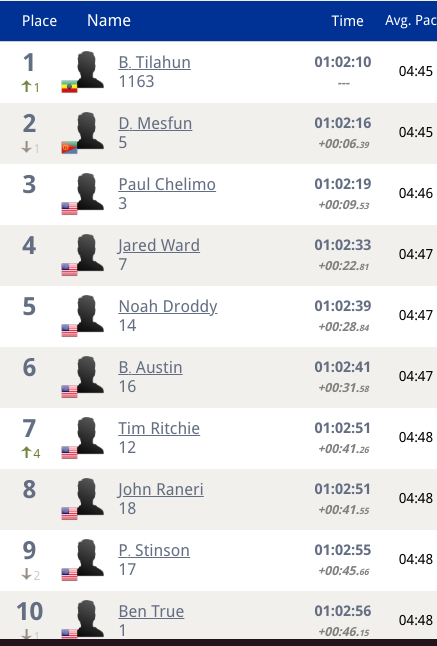 Jared Ward finished fourth today, 14 seconds behind Paul Chelimo. Fourth was a fitting place to finish as his wife gave birth to baby #4 seven weeks ago and as a result Ward has been doing more training on a treadmill (up to 30 or 40 miles a week), so he can watch the other kids and give his wife a bit of a break. He said his Boston prep is going well.